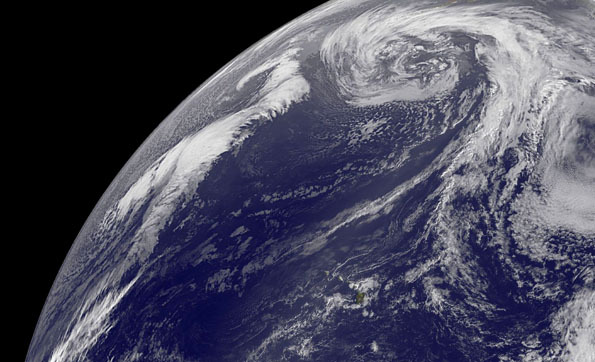 Image of Earth taken at 8 a.m. HST, January 31, 2013. Hawaii is in the lower center area. Click on image above for full-sized view. 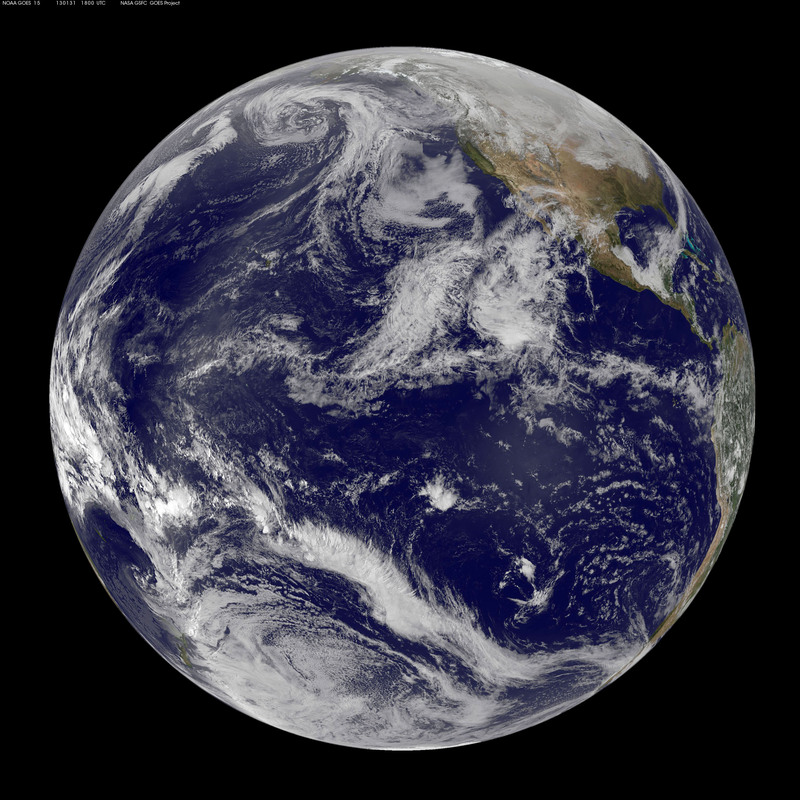 Image courtesy of NOAA-NASA GOES Project. The National Weather Service in Honolulu has issued a high surf advisory from 6 p.m. this evening until 6 p.m. Friday (Feb 1) for West facing shores of the Big Island. The forecast is for six to 10 foot surf along West facing shores of the Big Island beginning this evening. Coastal areas can expect strong breaking waves, shore breaks and strong longshore and rip currents making swimming difficult and dangerous. Boaters should expect surfers and body boarders to utilize harbor channel areas to access surf spots. The high surf is being created from a storm in the North Pacific which has generated a large Northwest swell. A small craft advisory is in effect from 3 p.m. this afternoon until 6 p.m. Friday (Feb 1) for all Hawaiian waters except for Maalaea Bay where the advisory runs from 4 a.m. to 6 p.m. Friday.